Unos constructores se toparon en Atenas con un teatro griego de 2.500 años de antigüedad que los arqueólogos creen que podría haber sido escenario de obras teatrales. 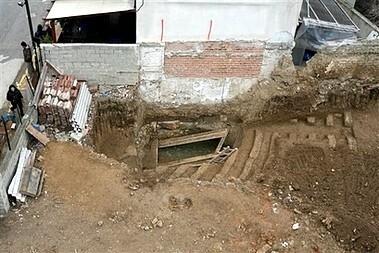 Antiguos escritores mencionan el teatro de Acarnia, pero se necesitan mayores excavaciones para determinar la identidad del teatro que está enterrado parcialmente bajo una calle. 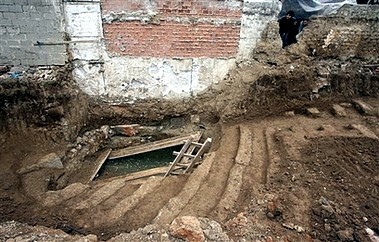 Sections of an ancient Greek theater are seen after they were discovered on Thursday during construction work. Until now, only two such buildings were known in Athens, where western theater originated more than 2,500 years ago. ATHENS  Sections of an ancient Greek theater were discovered on Thursday during construction work in an Athens suburb, archaeologists said. Until now, only two such buildings were known in the ancient city where western theater originated more than 2,500 years ago. Fifteen rows of concentric stone seats have been located so far in the northwestern suburb of Menidi, according to Vivi Vassilopoulou, Greeces general director of antiquities. 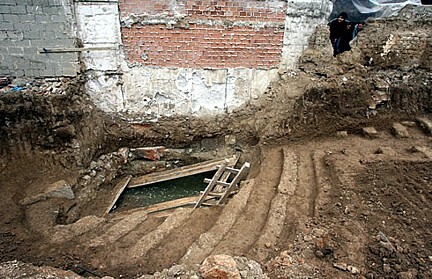 The structure has not yet been dated, and further details are expected to emerge following a full excavation. 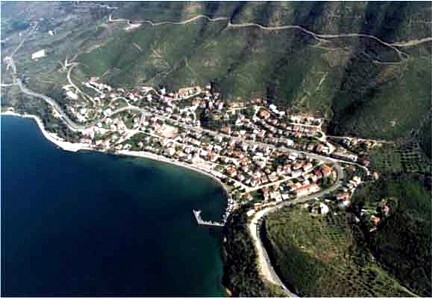 Menidi is thought to be built over the ancient village of Acharnae, the largest of a string of rural settlements outside ancient Athens. Ancient writers mention a theater at Acharnae, but no traces of it had been found until now. The village was linked with Dionysos, the ancient god of theater and wine, as the Athenians believed that ivy  his sacred plant  first grew there. Built in semicircular tiers on hillsides, ancient theaters were monumental, open-air structures that could seat thousands of spectators. Theater first emerged as an art form in late 6th century B.C. Athens, where ancient playwrights competed for a prize during the annual festival of Dionysos  in whose cult the art originated. 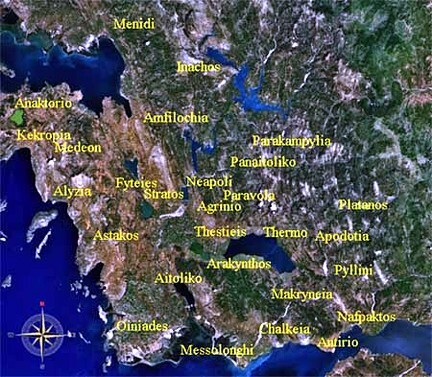 The works of Sophocles, Aeschylus, Euripides and Aristophanes were performed in the theater of Dionysos under the Acropolis. Originally a terrace where spectators sat on the bare earth above a circular stage, it was rebuilt in stone during the 4th century B.C. and could sit up to 14,000 people. Another smaller theater has been discovered in southern Athens. Vaya,que blog más interesante. Yo soy estudiante de Historia, aunque me he decantado por la Contemporánea. Hoy en el Diario de León aparece la noticia del descubrimiento de la necrópolis de la Legio VII. ¿Vuelven a salir los anfiteatros griegos? y me ha puesto eso. ¿Vuelven a salir los anfiteatros caboriege? En Grecia no existían los anfiteatros ni un teatro es lo mismo que un anfiteatro.